Visitng talk by someone from the Performing Rights society in Scott 105 mondayFeb 6th at 13.00 all second and third years welcome. Great OPPORTUNITY for anyone looking to do MAX workshops: Falmouth University are looking for someone to run some Max workshops for their 2nd year creative arts students. Contact david.strang@plymouth.ac.uk. Very excited to announce that we have a trip planned to Ableton LOOP 2016. Alex Mclean has compiled a very interesting list of journals on sound, music, technology, culture etc. All free to access. Take a look here. There will be a briefing about the trip on Monday 1st February 2016 at 2pm in SCB105. Hi All, Bring CASSETTES, VINYL, MINIDISC, rare and extra-ordinary audio formats (and their pla0yers) and join in the sonic pandemonium forward-slash revellry for our end-of-year bash. Take turns, or play simultaneously in a free-for-all DJing session that doubles up as the HOTWIRE CHRISTMAS SOCIAL (no secret santa required). Please Note: Information about the recording sessions for MUS631 can now be found on the MUS631 Module Site. Make sure you check this information and are aware of which group you are in and when you are scheduled to be in recording. 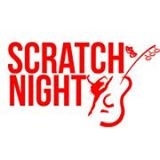 If you have not heard of or experienced Plymouth University's "Scratch Night" then do get along and get involved. The group is a vibrant mix of Music, Dance and Theatre all going on in The House. Let your tutors know about any interesting performances or work you are involved in so we can share that too! Tickets for his talk on the evening of Thursday 15th October will be handed out in class on Monday 12th October during the MUS631 class. On Thursday 15th October 2015 Thurston Moore (Sonic Youth) will be giving a lecture as part of the Lit Festival. This is a fantastic opportunity to hear from one of the leading figures in experimental rock music. Join the Music Technology Facebook group here. Paul D Miller (aka DJ Spooky) will be giving a talk here on Monday 1st June. This will be an excellent talk especially for those interested in sound, sonic arts, media arts. Last few days for the National Student Survey, you can find the link here. Please forward CVs to Jamie Popowich (jamie.popowich@plymouth.ac.uk) and David Strang (david.strang@plymouth.ac.uk). A group of Media Arts students are doing a public event in Plymouth using the big screen in the centre of town for visuals for DJs. They are looking to collaborate with some music students regarding tracks of music to play. Every Year Plymouth Music Service and PUPOS team up to run a themed workshop, 'The Holocaust Memorial Day'. This workshop utilises music technology to create a themed soundscape that works towards a performance. PUPOS requires 5 Music BA or Music Tech students that have good experience with music technology to work with 15 school students from Devonport High School for Girls. The main duties will be organising and assisting with school students creative aims, sourcing and recording samples and building a digital soundscape whilst working to the theme. DBs checks are not essential as school teachers will be present. This will take place ion the University campus on Tuesday 27th January 2015. Successful candidates will need to be free that day and also attend a meeting before the Christmas break. If required, references can be obtained form Plymouth Music Services after the event. If you are interested please contact Lee Whittock asap. (I imagine the places will fill quickly). Join our Interactive Arts Consortium and come along to the events / workshops taking place at the Bread & Roses pub at this location. You can find details of the various music societies that are active in the uni this year. The list can be found in course documents and by following this link. Some info on how to access the library and IT services for new students here. It's been a great year and I have very much enjoyed the course and what I have learned. I am already working with other artists to sonify different kinds of art from an interdiisciplinary point of view. James Wilkinson graduating third year. I have already thanked my module tutors personally but I wish to extend my gratitude collectively at this opportunity. Being in receipt of a 2:1 I can say I am truly delighted, although the certification is merely a wonderful bonus on top of the main source of my satisfaction which is to have had a profoundly mind and soul expanding journey with yourselves as my guides for the final leg. Colin Bache graduating third year. Thank you for everything this year, it has been my best year in education so far, and has brought so many things to light that I need to now look into further, if I can keep up some momentum hopefully my newly inspired interest in a lot of the subjects I've learnt about this year will lead on to a good career path and even a few hobbies on the side :). Corey Evans graduating third year student. "Thank you so much! II enjoyed your lessons so much this past year, I feel they have developed me more as a musician and as a 'techie'." Vincent Smith second year student. "I would just like to add a thank you it's been an interesting year and it's been a refreshing change to have lecturers that are helpful and passionate about what they teach." David Huntley graduating third year student. "Massive amounts of thanks to Stu Welsh-dBs, David Bessell and David Strang for teaching me some of their secrets! Time to get out there and make something of it" James Baxter graduating third year student. "Just a quick message to say thanks for all your help throughout the year. I have picked up some key skills from each module and have become interested in some areas which I had no idea about prior to your lectures. It has been a great year for me personally and I hope to some day return to study on the masters course. I will be suggesting the course to anyone who is interested in studying music." Owen Begley graduating third year student. I'd like to take this opportunity to thank you for an interesting and progressive experience on the final year of my degree. It was great to have lecturers who taught me new and valuable skills that didn't try to force me into a particular mould, but rather ones that will aid me in creating my own path through the world of music. Cheers for making my final year of university the best one. Jeremy Hajduk graduating third year. Interview with James Baxter on his videogame development work. on Youtube here. Well done to Tom Hitchins for securing a teaching post at Petroc. Congratulations to James Baxter for securing a place on the Alacrity video games development scheme. A new release from Jeremy Hajduk (aka Kinetic). Congratulations to Liam Kibbey Newman for securing a job at PRS. Dawn Chorus Ignites (Nathan Bawden) supporting Sigur Ros at the Eden project. Congratulations to Ben Payne on fighting off stiff competition to secure himself a music tech support job.